Today, American Legion posts sponsor more than 2,500 Scouting units across the country. This is natural for Legionnaires, who bring their service-learned skills and experiences as veterans to help build character and positive traits in our country’s youth. Few other post activities generate more goodwill from the community. The Legion annually honors the Eagle Scout of the Year at the national convention. The winner of the competition receives a $10,000 scholarship, and the three runners-up are each awarded $2,500 scholarships. On April 12, 1927, the Rochester Council of the Boys Scouts of America accepted an application for charter for a troop of Boy Scouts and an application fee of $11.50 from William Cross, President of the Pittsford, New York Parent-Teachers Association. There would be a Scoutmaster with two assistants and the Troop Committee would consist of a Chairman and four other men including William Cross. 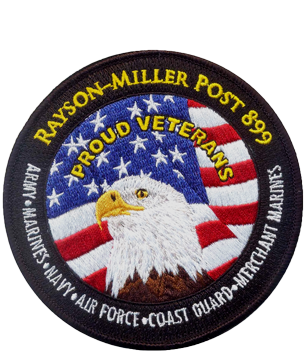 In October 1934, Red Jacket Council approved re-chartering of Troop 129 to Rayson-Miller Post of American Legion. There were 20 registered Scouts meeting at the School on Fridays. Several members and officers of the Post have served as Troop Committee members and leaders over the years. In 1935, Troop 129 had its first Eagle Scouts. 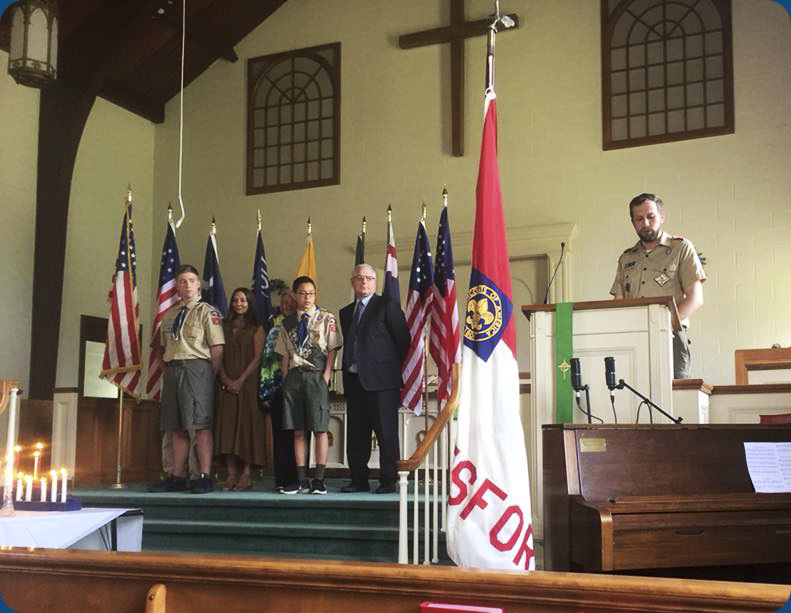 While Rayson-Miller Post 899 sponsors Troop 129 financially, the Troop assists in Rayson-Miller's activities. 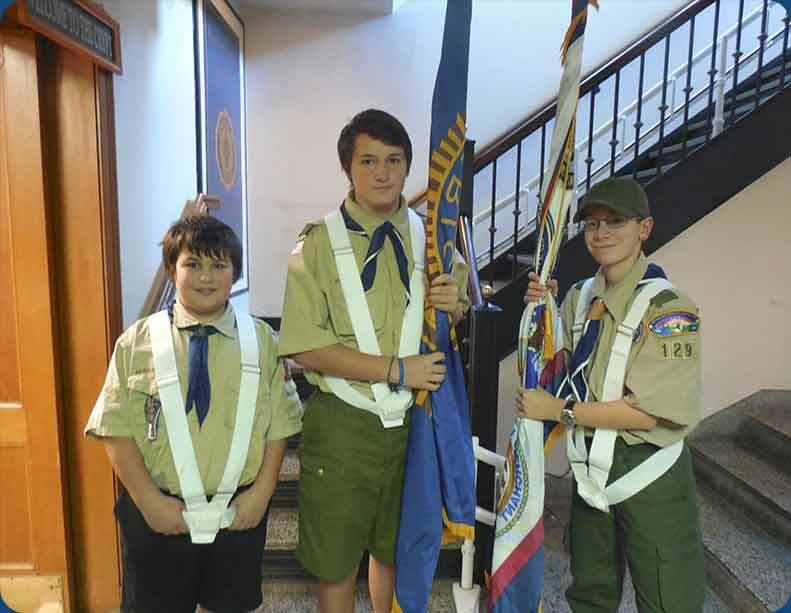 You will very frequently see members of Troop 129 helping the Post at the various events held in the Town of Pittsford; such as: Paddle & Pour, Truck Rodeo and Music Fest, being flag bearers for our Veterans Day ceremony and more. Scouts working on their Eagle projects have also chosen projects within Rayson-Miller's purview. May 3, 2018The Boy Scouts of America organization name will continue to be Boy Scouts of America. It is not changing. The above information has been taken directly from the Scoutwire. Please visitScoutingwirefor all facts concerning BSA and recent changes to this organization. 1929-1931 Charles J. Clark 1977-1978 George Patric / Edward P. Cutter, Jr.
We understand that this list is not up-to-date and welcome any and all information to correct this listing.